"Finally! 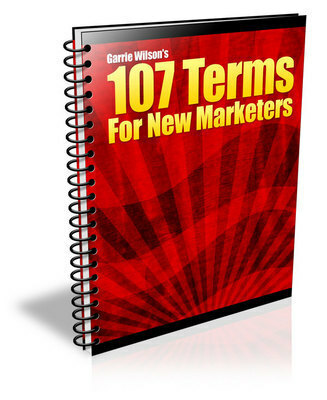 A Dictionary Which Shows You All The Popular Internet Marketing 'Jargon' In A Snap..."
In this report, I'll reveal to you all the popular "IM lingo" so you'll finally understand terms like PPC, ROI, VPS And 104 Others! There will be no more confusion or feeling like a newbie! Just clear definitions so you can concentrate on learning! * Learn 107 of the most commonly used words and abbreviations of Internet marketing - from "Ad copy" to "WYSIWYG". Each one, when appropriate, also contains resource links so you can further your understanding! * Receive master resell rights and a copy of a mini-site just like this one! Never feel like a marketing newbie again. [YES] You may resell this product. [YES] You may giveaway this product. [YES] You may sell/pass basic & master resell rights to this product. [YES] You may edit the squeeze page/sales letter.